Don't try to overthink it, my friends, this is not a bizarre koan to solve. Pig Wrestling is a concept summarized in this book written like a modern fable, which can be used to resolve almost any seemingly impossible problem. The trick is, according to authors and performance coaches Pete Lindsay and Mark Bawden whose work has helped soccer teams like Manchester City, to create change by reframing the issue that is bothering us or threatening a project or a new product launch. 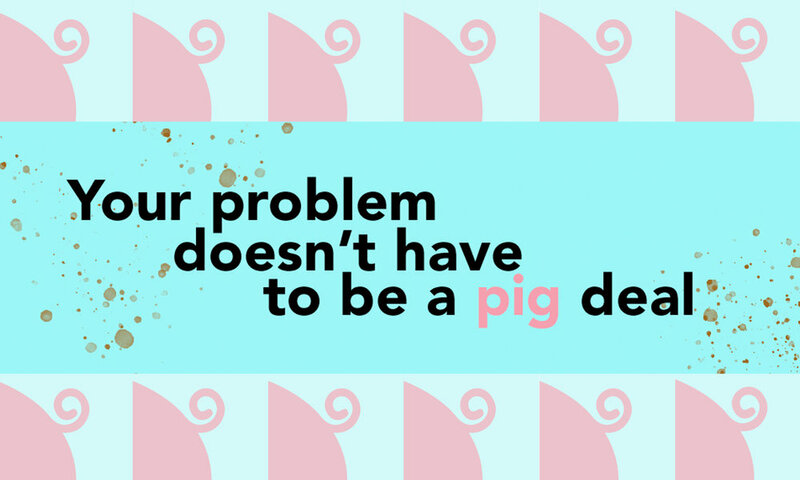 Also known as Short-Cycle Coaching, this method can help us spot when we are "pig wrestling", which is another way to say that we are facing a problem that seems unlikely to be solved because we have tried everything... at least in theory. So, following the book's advice, that's when we must realize that maybe we have been tackling the wrong problem. And here's where the fun begins with the introduction of the "Problem Cleaning", based upon sound psychological research. Its creators recommend focusing on the problem we want to solve by stepping back and trying to get a "whole picture" of it. After that, the next step would be to reframe it, because we become immensely powerful when we decide that we will choose the "frames" through which we will view the world. Context is also a very important topic. Defined here as "a combination of people, politics, palaces and power dynamics", the authors underline how important it is to always look at the context of our problem scenario before we jump into any conclusions. This is just the tip of the iceberg and the book is packed with countless other problem solving strategies.